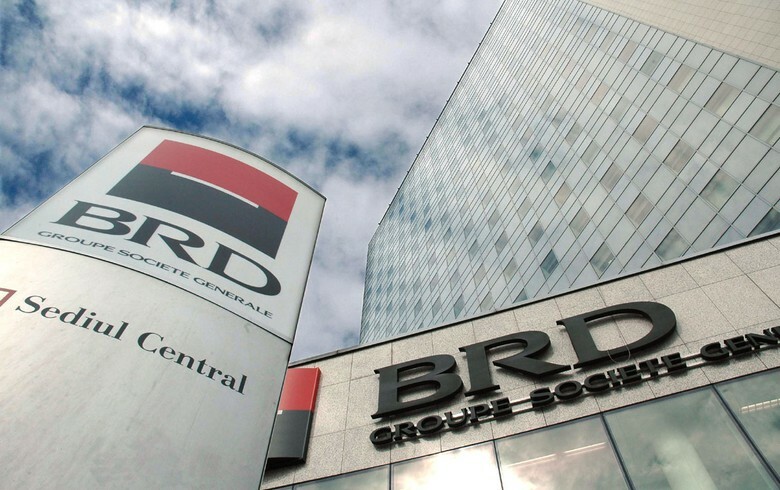 BUCHAREST (Romania), February 7 (SeeNews) - BRD [BSE:BRD], Romania's third-largest bank by assets, said on Thursday its consolidated net profit rose 12% year-on-year in 2018, reaching 1.54 billion lei ($371.5 million/326 million euro). Net profit growth last year was fueled by business growth, improved operating performance and net cost of risk write-backs, BRD, part of France's Societe Generale, said in a statement filed with the Bucharest stock Exchange, BVB. The ratio of BRD's non-performing loans (NPLs) fell to 4.6% at the end of last year, from 6.8% a year earlier, while the coverage of NPLs with provisions stood at 74.2%, unchanged compared to end-2017. The net cost of risk registered a 246 million lei net release due to recoveries on defaulted portfolios and good control of risk at loan origination. BRD’s net operating income amounted to 2.98 billion lei in 2018, up 13% on the year, while net interest income grew 16.5% year-on-year to 1.87 billion lei, driven by solid volume growth. "In 2018, BRD Group achieved strong financial results, reflecting robust commercial dynamics and very solid operational performance. Growth was driven by higher retail loans and savings, increasing corporate financing and larger number of transactions,” BRD Group CEO Francois Bloch said. "However, going forward, if the fiscal measures introduced through the Ordinance 114/2018 were to be confirmed, the consequences for the Romanian economy would be clearly negative," he noted, refering to a controversial emergency decree which envisages a so-called 'greed tax' on bank's assets correlated with the values of the three-month and six-month Romanian Interbank Offered Rate (ROBOR). BRD's capital adequacy ratio was 19.6% on a standalone basis under Basel III regulations, well above the regulatory requirements of 10%. The bank's total assets rose to 54.08 billion lei at end-December from 53.5 billion lei at end-2017. Besides the bank, the BRD Group in Romania includes BRD Sogelease IFN, BRD Finance IFN and BRD Asset Management SA. The overall net profit of the BRD Group in 2018 was 1.56 billion lei, up 10.6% on an annual comparison basis. The group's total assets rose to 55.7 billion lei as of end-December, from 54.9 billion lei at end-2017. Blue-chip BRD traded 3.48% higher at 11.9 lei by 1308 CET on the BVB.